Most students dream of going to an university and train for a professional life. There is a big difference between just going to any university or to your chosen university. It requires planning get admission to your chosen university, and this process may start as early as middle school. The journey starts from preparing the planning sheet itself. Remember failing to plan is planning to fail! achieving the required criteria of admission. Both steps are not independent rather they are two sides of the same coin. Let’s explore the various aspects. Think of career options after completing middle high-school e.g. grade 10. It is important as you will study the next 6 to 8 years learning skills and then spend 30 to 40 years working to and retirement in that field. Discuss with your parents, friends and school seniors, research online and compare the career options with your likes and your core strengths. Find out type of jobs and their locations. With the rapid change in technology, job market changes are very fast now. Check with few universities, subjects to study for admission, suitable to career options. Discuss with your school seniors to find out more information. Select your senior high-school subjects according to admission criteria. Across various universities, subjects usually remain same for same career options. Admission criteria – subjects, pass marks or level, reference letters from school teachers, extra-curricular activities, sports and hobbies, social engagement, statement of purpose, resume or curriculum vitae, special admission test, language test, etc. Cost – application fee, annual fee, books, accommodation and food; transport and communication; availability of scholarship, subsidy, assistance. Estimate for the whole duration of course completion. Collect the above information and prepare first list of universities of choice. Prepare your basic selection criteria. Based on that, look up the list of universities, ranking tables and short-list around 10 universities. Communicate with the University office by letter, email or phone for more details or clarifications on the information available on internet or obtained by other sources. Visit the university education exhibition or expo. Consult the professional education counsellor. Visit the university and discuss with student and university staff to feel the pulse of real world. Prepare comparison table and input all the information and the findings and compare with your selection criteria. Also include variance and reason for that as all selection criteria may not be fulfilled by all universities. In such case, prioritize your selection criteria. By the time you complete the grade 11, you should have narrowed-down the selection to 3 to 5 universities. Study high-school subjects to achieve required marks or grade for each of the subjects. Prepare for the additional admission and language test. Be engaged in extra-curriculum activities as required. Study each section of application form and fill-up. Make a copy of the application form and prepare draft version to avoid writing errors. Other than basic information, there may be section where statement or essay style write-up is required. For such matters, read the question carefully and prepare relevant response. Collect the reference letters as required. Prepare complete application dossier, make application fee and send to University admission office in time. International students, you have to get the required visa from embassy of that country and need to find out the type and requirement of visa and prepare for that. Few of the university ranking websites are listed below. 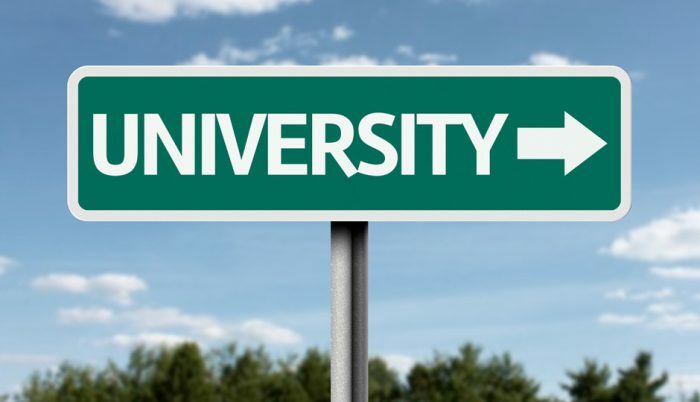 Country and subject specific university listing websites are also available.